£50 non refundable deposit is required to secure your booking. 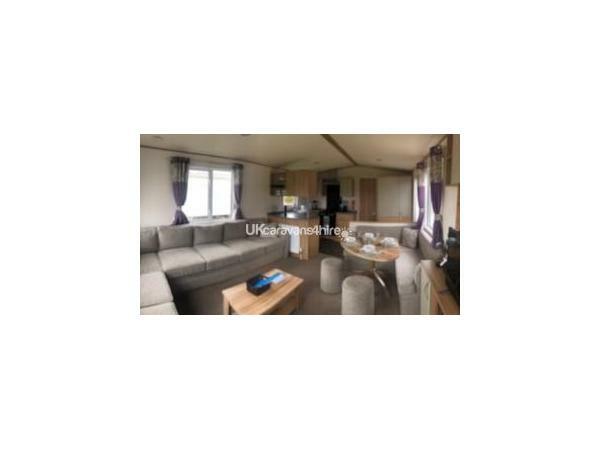 However if booking is made 4 weeks prior to arrival then full payment is required at the time of booking. 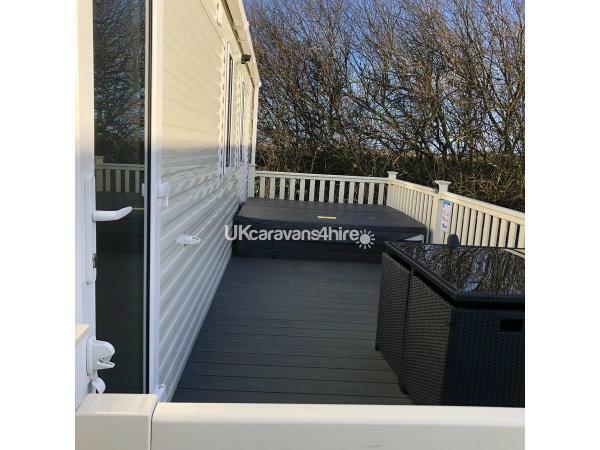 All bookings are subject to an additional £75 damage waiver fee. 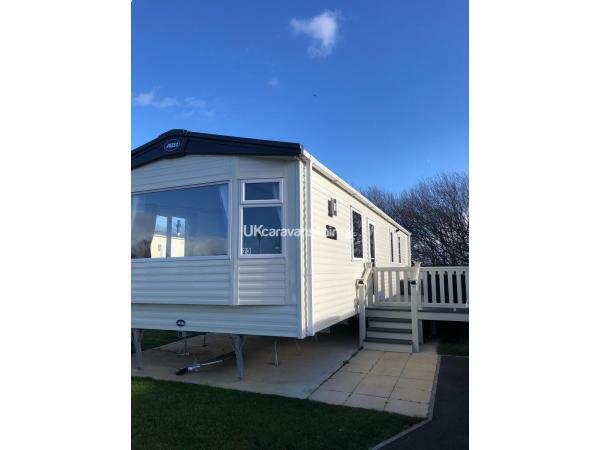 This is fully refundable after your departure as long as no damages, spillages, breakages, soiling, theft and the like have occurred during your stay. Your dates are not secure until we have received the £50 non refundable deposit. 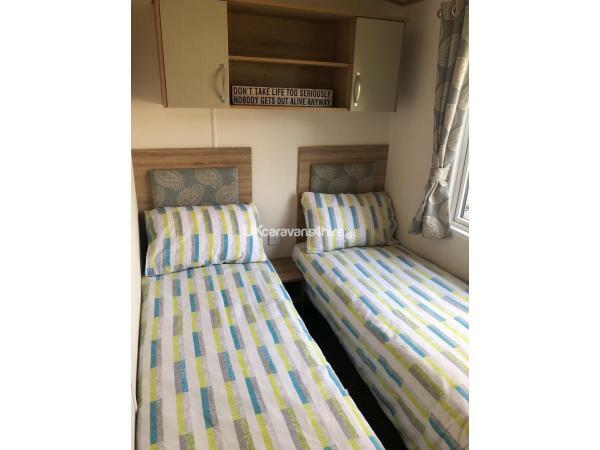 Your holiday is not confirmed until we have received full payment. 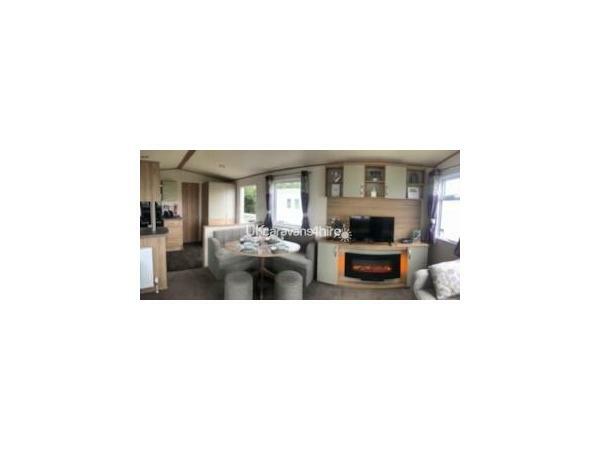 Luxury caravan in a beautiful quiet area of the stunning Tattershall Lakes Country Park. Only a 15minute stroll to the main bars/restaurants and entertainment. 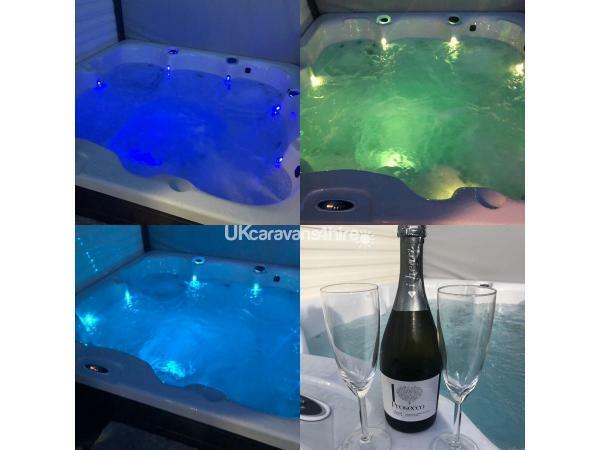 Private decking area with a larger than average hot tub with mood lighting and Bluetooth speakers and seating area for up to 8 people. 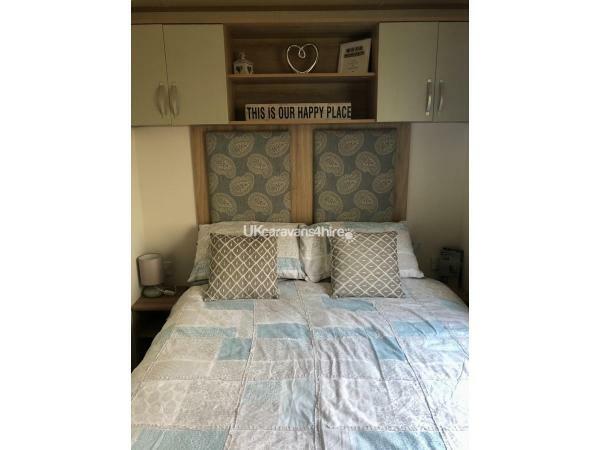 The main bedroom has a kingsize bed and ensuite toilet/sink. 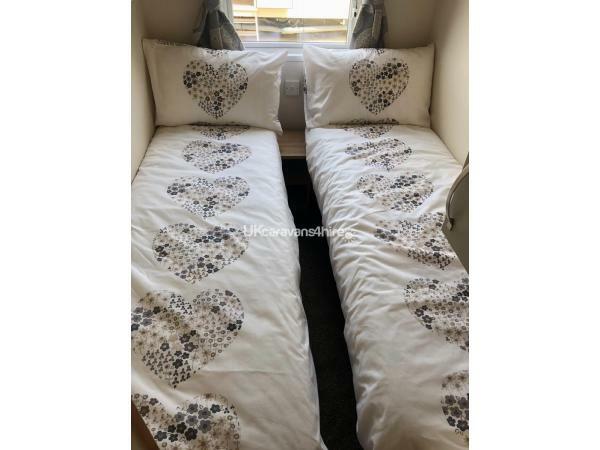 Two twin rooms with full length beds. Family bathroom with large power shower. 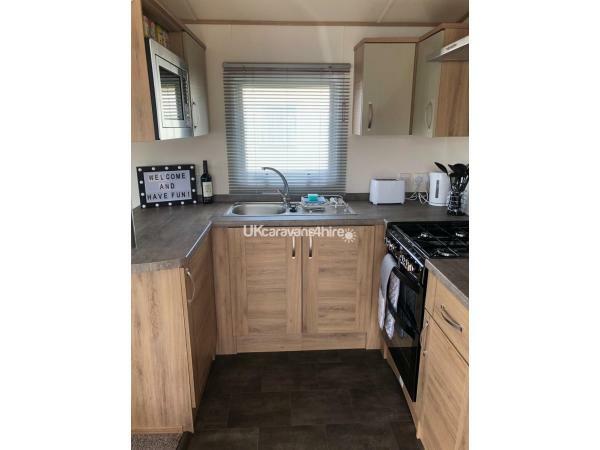 Kitchen with gas oven, hob, full size fridge freezer, pans, microwave, crockery, utensils etc. 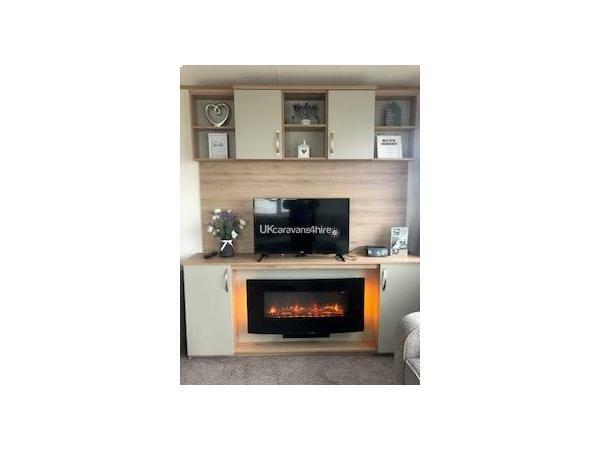 Cosy and comfortable lounge area with electric fire, TV/DVD combi with freeview, gas central heating and double glazing throughout so perfect all year round.